Starting January 1, 2019, the battery replacement fee will increase to $65 for the iPhone 6 through iPhone 8 Plus, nearly double the current price. The increase will be even higher for the iPhone X, to $89, in line with what Apple charges for battery replacements in the new iPhone XR, iPhone XS, and iPhone XS Max. Apple temporarily reduced its prices for iPhone battery replacements starting in December 2017 following the revelation that it was slowing down some older iPhones with depleted batteries in order to prevent those iPhones from shutting down unexpectedly. The power management feature was quietly introduced in iOS 10.2.1. The reduced-price battery replacements were part of Apple’s apology over its lack of communication about the whole situation. Apple also emphatically denied that the power management feature is as a form of planned obsolescence. 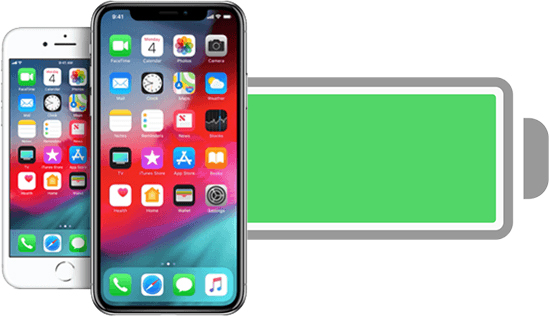 Getting your iPhone’s battery replaced will not only result in longer battery life, breathing a breath of fresh air into the device, but also potentially speed up the iPhone since there shouldn’t be any more performance slowdowns. Unsure if your iPhone battery needs to be replaced? On iOS 11.3 or later, open the Settings app and tap on Battery > Battery Health. If the battery’s maximum capacity is below 80 percent, it may be worth considering a replacement. To initiate an iPhone battery replacement, head to the Contact Apple Support page and select iPhone > Battery & Charging > Battery Replacement. Then, select Bring in for Repair to schedule an appointment with an Apple Store or Apple Authorized Service Provider. Make sure to back up your iPhone first. If you prefer, most Apple Stores allow walk-in customers to wait for a Genius Bar appointment on the spot, but only if the queue is short enough, so booking a reservation in advance is recommended. The battery replacement process is usually completed on the same day, although service completion times can vary. If you don’t live near an Apple Store, or can’t be bothered to make the trek, then follow the aforementioned instructions but instead select Send in for Repair. Apple will help arrange for you to ship your iPhone to one of their repair centers, at an extra cost of $10.77, and mail it back to you with a new battery up to five business days later. Genius Bar appointment times are available on a first-come, first-served basis, and are often booked a-week-out, so if you want to take advantage of Apple’s reduced-price iPhone battery replacement offer, get on it sooner rather than later—especially if you’ll be at the mall anyway for some gift shopping.